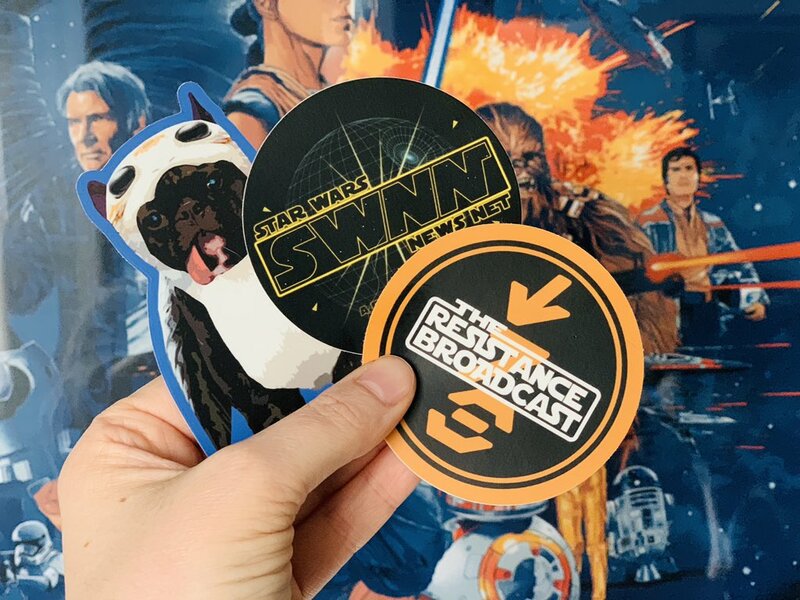 If you are going to Star Wars Celebration Chicago, mark your calendars to come see the SWNN team on our podcast The Resistance Broadcast live Saturday, April 13th at 6PM! 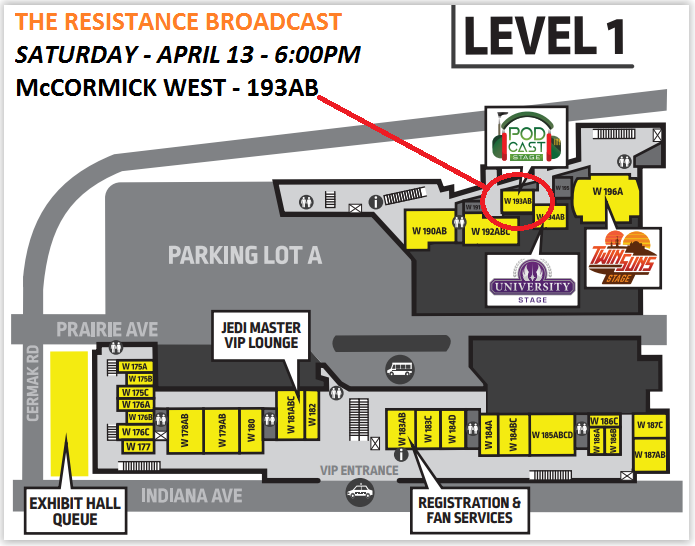 The crew will be podcasting from McCormick on Level 1 in room 193AB (see map below). 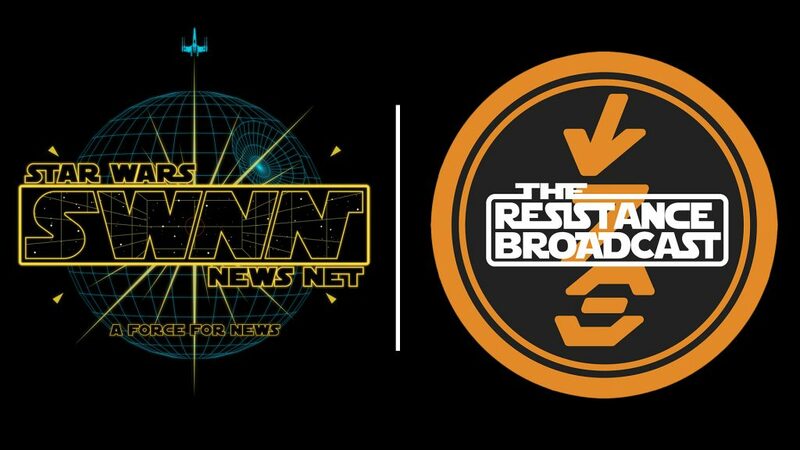 Immediately following the podcast we will be doing a Resistance Broadcast and SWNN meet up at the Arc Bar right inside the Hyatt at McCormick Place with many other great bloggers and podcasts! 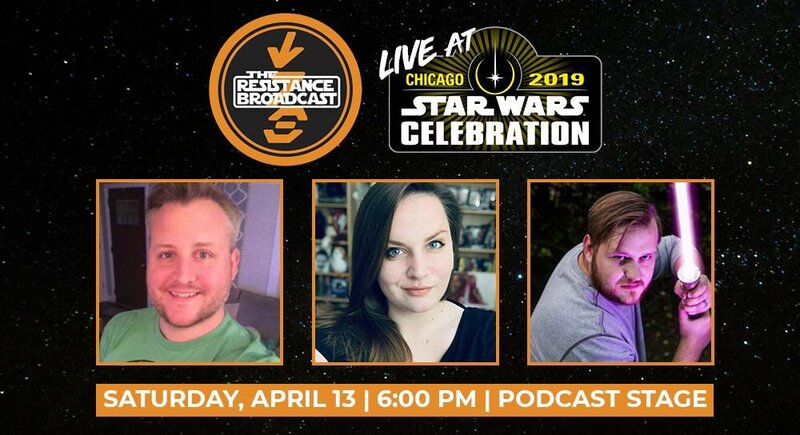 The Resistance Broadcast crew John Hoey, James Baney, and Lacey Gilleran will podcast from 6:00 – 6:45PM CST, and as always promise to deliver a fun, insightful, and positive good time talking Star Wars, with laughs and cool swag guaranteed (some pictured below)! A few inquisitive attendees may walk away with some additional one of a kind items as well (hint hint)! We will warm up with one of our fun segments that our audience can participate in, we’ll give our takes on the Episode IX trailer and title, and then look to the future in our main discussion, “Star Wars Beyond the Skywalkers” – a look forward at the future of Star Wars films, and discussing what makes a Star Wars movie a Star Wars movie to us beyond the beloved Skywalker family. To close everything out we’ll get to a few audience questions in a live version of #AskTheResistance! And of course we promise some other fun stuff peppered in along the way. The Resistance base will open at 6PM so make sure you’re there early and ready to PUNCH IT with us! WHEN AND WHERE IS THE PODCAST? WHERE AND WHEN IS THE MEET UP AFTER THE PODCAST? Immediately following our podcast join the TRB crew, the SWNN team, and many other Star Wars podcasts and bloggers for a big group hang out! Thanks to Dan Zehr of Coffee With Kenobi for organizing the meetup. All listeners/readers are welcome, so we hope to see you and your family/friends there. Let’s hang out and all geek out together! Please share this with all of your fellow SWNN readers, TRB listeners, and fellow Star Wars fans – let’s get everybody together at the panel and hang out after! We look forward to meeting everyone and spending time geeking out about the one thing we all collectively love together, STAR WARS! We can’t wait to see you there!